Expanding a building is never an easy task. Many businesses struggle with the decision to expand or build an entirely new building. The decision almost always comes down to finances. Prefab metal buildings can be a great way to get the space you need to thrive without having to invest as much money as you would with traditional construction. There are many benefits of prefabricated metal buildings online other than the lower price points. Prefabricated metal buildings can be a great way to grow your business. Using a portable design, each pre-engineered metal building can be placed anywhere. The building can easily be added to or downsized if necessary. If the building is no longer needed, it can be sold and moved to another location. A metal building office can be as small or big as you like. Some businesses only require a small portable office. A construction site, for example, would have very little use of a multi-story office building. The business, however, could expand their single office should their business needs change. Whether they want to add a second office, kitchen, bathroom, storage areas or break rooms, they have the power to do so. Prefabricated metal buildings also have access to full HVAC units. You will not need to worry about keeping cool or warm, even in a small unit. HVAC services are available to fulfill your every need. Getting the best available metal building offices for sale means finding a company that only produces good quality work. Your metal building needs to be able to withstand various weather conditions, such as rain or wind. Panel Built prefabricated buildings can even withstand earthquakes and hurricanes. It also needs to be temperature resistant. In order to ensure that it can withstand the tests of time, every bit of metal included in the building needs to be treated for rust and other corrosive materials. Working with a company like Panel Built allows you to get the most for your money. The experienced company works hard to make sure that every detail is covered and that your prefab metal building has been built to perfection. Prefabricated metal buildings are not made in the same way as a conventional building. Instead of erecting the property on your land, the building is assembled in pieces in a factory and then shipped. This means that the bulk of the construction, and in most cases all of the construction, happens off-site. You don’t need to worry about hosting a construction crew or being embarrassed of a messy work space. Instead, the building is simply shipped and dropped off at your location. Because the building is being assembled off-property, you have access to some of the best builders in the business. These workers have years of experience creating prefabricated metal buildings and work on an assembly line. This makes the entire building process faster and gives you an overall better quality building. Most buildings are constructed in just a few short weeks. In some cases, the prefabricated building can be ready for use and delivered in under a week. It all depends on the size of the building. With consistent, experienced workers, you will always experience minimal down time and fast shipping. What are Good Prefab Metal Buildings Prices? The price of a good prefabricated metal building will vary depending on what your business needs are. Small external buildings cost significantly less than larger facilities. Keep in mind that size isn’t the only factor when it comes to getting a price estimate. Good prefab metal buildings prices reflect the décor and other services used in construction. Prefabricated metal buildings can include a wide variety of features, each one affecting the overall total of the expansion. A variety of doors and windows can be added to even the most basic designs. Siding and panels can also help the metal building match any existing property theme or simply make it look more professional. Panel Built has years of experience working with businesses to create buildings that they can really use. If you are wondering where to buy pre-engineered metal buildings, you should consider researching Panel Built. The company is happy to help businesses discover their building needs. The company will answer any questions that you may have and help you through the buying process every step of the way. Panel Built’s brilliant exterior metal buildings and systems allow you to get the most out of the money that you have invested. The company prides itself on quick, stress-free construction. They offer a variety of choices when it comes to designs and styles, all at terrific values. One of the ways Panel Built cuts costs is by offering cheap metal buildings available online. Working online helps them cut many overhead costs and pass the additional savings on to you. You will not only get the best prefab metal building prices, you will get a quality product that will last for years to come. 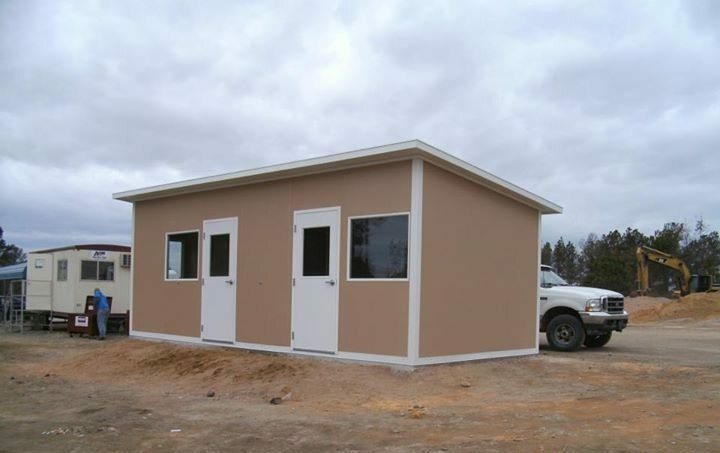 If your business is need of a prefabricated metal building, contact Panel Built today. A friendly customer service representative will be happy to assist you.